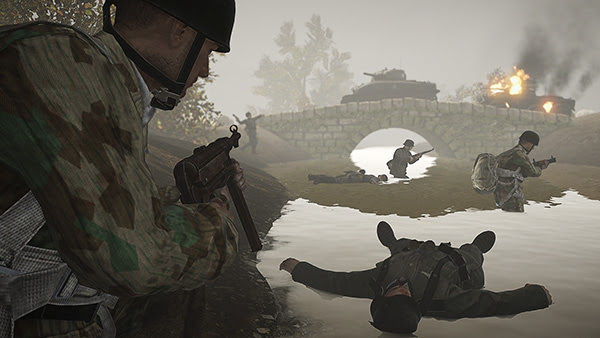 Reto-Moto has just released a new update called ‘Spaatz’ for their popular WWII MMOFPS Heroes & Generals. This update brings a new action packed Skirmish map, new weapons, a new battle briefing screen and an improved battle report for the ‘Heroes’ players. While the ‘Generals’ get a deeper gameplay experience with better balanced wars through limited army resources for their faction. All players can now communicate with each other, even when not online, through the new in-game messaging system. The new Village Skirmish map is set in the fields of rural France with a sunken ruin, a chateau and a small farm as key objectives. This map is designed with less distance between the objectives, making it more tight and more action packed than the other Skirmish maps as all objectives are in danger at all times. The new weapons are of almost iconic nature: German soldiers can now get the classic high-precision P08 Pistol, and the US soldiers will be able to live out their inner cowboy with the hard hitting M1917 Revolver.